Uwell Nunchaku Released New Products Which You Cant Miss ! Do you know some new arrivals of vape ? And do you want the most fashionable vape ? Today I will introduce you. The Uwell Nunchaku Mod, equipped with Uwell's new self-developed control panel, is a versatile tube mod as safe box mod. It is ergonomically designed and pocket-size for easy carry. 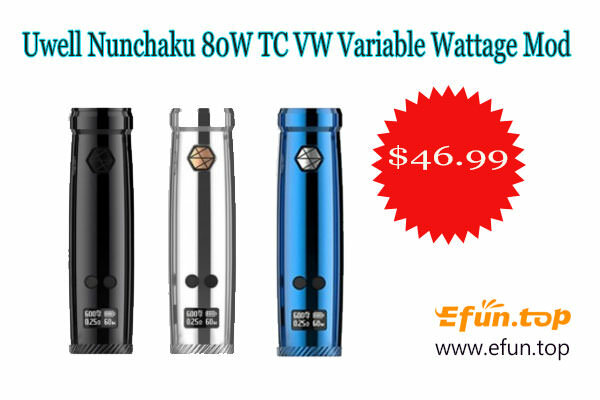 Powered by a single 18650 battery (not included), Nunchaku is capable of outputting at between 5W and 80W. The mod comes with multiple modes to choose: power mode, TC mode (NI, SS) and bypass mode. Nunchaku should satisfy you with its stylish look and high performance. And do you know which tank will best match with it ? 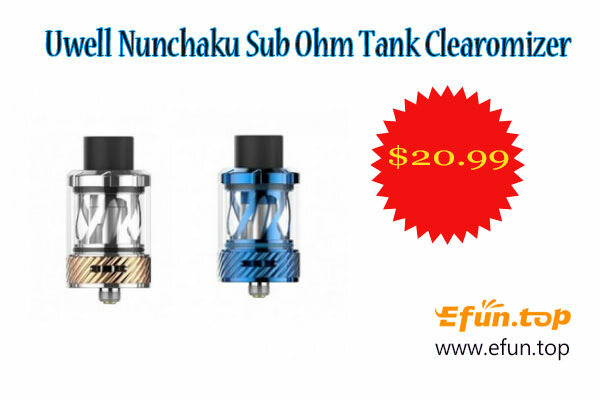 The Uwell Nunchaku Tank is a 25mm sub ohm tank with large juice capacity up to 5ml. It adopts the unique flavor testing technology from UWELL, which perfects the flavor profile. It features large clouds with low wattage, power-saving and juice efficient. The coil is plug-pull style, which is easy to replace. Nunchaku Tank is compatible with Claptonized A1 0.25ohm coil (40~50W ) and 0.4ohm coil (45~55W). Follow us will let you find the latest and most fashionable vape!